show off your best facial features and highlight natural beauty. Custom brow shaping draws attention to your eyes, frames your face, and completes your entire look. In this segment, MYNC Lash Lounge & Brow Bar’s expert teaches the tricks of the trade used to maximizing natural to runway looks. 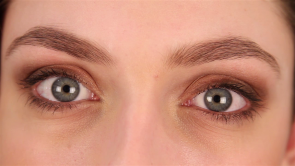 Watch this expert advice to find out how personalized brow shaping is done.